VALPARAISO, CHILE - JUNE 22: View on the busy Dockyard on June 22, 2016 in Valparaiso, Chile. 4k00:20VALPARAISO, CHILE - JUNE 22: View on the busy Dockyard on June 22, 2016 in Valparaiso, Chile. 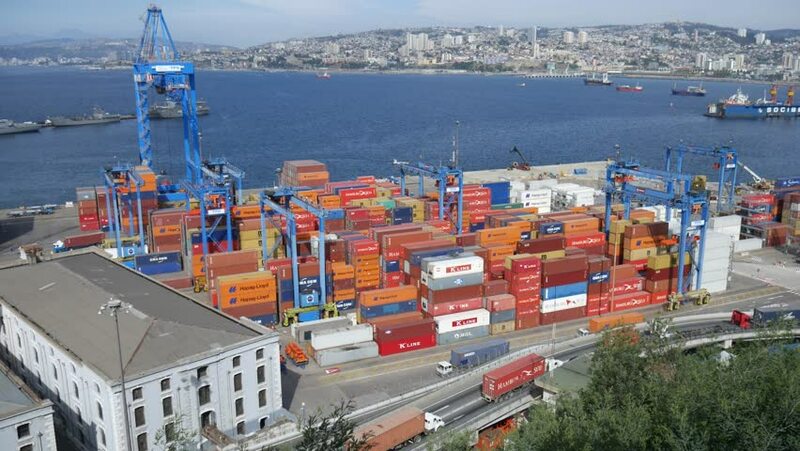 4k00:14VALPARAISO, CHILE - JUNE 22: View on the busy Dockyard on June 22, 2016 in Valparaiso, Chile. hd00:29NOUMEA, GRANDE TERRE/NEW CALEDONIA - FEBRUARY 06, 2014: Tracking clip of Noumea container port and harbour. Noumea is the main port for New Caledonia. 4k00:10SHENZHEN, CHINA - SEPTEMBER 10 2017: day time shenzhen famous container port aerial panorama 4k circa september 10 2017 shenzhen, china.